You’ve heard of restaurants with policies allowing guests to “bring your own beverage,” or “BYOB.” These days, it’s more and more common to see people who bring their own device (known as “BYOD”) just about anywhere they go — from the restaurant, to the gym, to their place of employment. Bringing your own device means carrying your smartphone, tablet, or laptop with you, using it alongside or in place of work devices in a professional setting. Even just a few years ago, this type of behavior may have been frowned upon. Yet, with the growth in the number of people who own cell phones and tablets, and the fact that people are becoming more attached to their cell phones, there’s been an inevitable move toward bringing personal devices into the office. Plus, studies show that people who are permitted to bring in their own devices are more satisfied at work, and many companies are now encouraging this type of flexibility for the inherent productivity and efficiency improvements that come with it. People have grown reliant on connecting to cellular networks wherever they go. But, for various reasons in many commercial buildings there is just not adequate indoor coverage. One study found that 43% of mobile phone calls now originate within a commercial building — while only 30% of those business say their in-building coverage is equipped to handle that kind of growing mobile traffic. The majority of people surveyed said they had to move around the office or step outside for the best coverage. Another study found that only 2% of all commercial buildings have adequate technology in place to provide reliable cell signal coverage. What’s more, many growing enterprise companies operate out of large buildings or sprawling campuses, which adds to the problem. Building materials like brick, concrete, stone, and drywall all tend to weaken cellular signals, often blocking signals completely. Signals can even bounce off windows, especially energy-efficient glass coated in metal-oxide. Case Study: Learn how signal boosters improved cell coverage for a prominent NYC retailer. So not only are building owners not equipped to handle the increased cellular usage, but the buildings themselves are often the problem. The lack of comprehensive cellular coverage can cause a number of negative effects, like employee or visitor frustration, reduced productivity, compromised safety and security, and even lost revenues. How can indoor cell signal be improved? Cell signal quality and availability have many companies thinking more seriously about the buildings they choose to occupy. Demand for improved indoor cell reception may also inspire builders to account for cell coverage during construction, thereby eliminating retrofit costs while making the building more attractive to a modern, connected workforce. For buildings without dedicated cell network infrastructure, a DAS (distributed antenna system) is one option. However, because these systems are large, complex, and involved, they may be best left for projects of tremendous size or range, such as underground subway tunnels or stadiums. Small buildings, corporate offices, and even enterprise settings like schools or hospitals can reap great benefits from cellular signal amplifiers, or cell signal boosters. These amplify any existing signals and bring them inside the building — even if they are very faint. Cell signal boosters are carrier-agnostic — they improve signal for all devices and all networks regardless of service provider making them the ideal solution for BYOD environments. 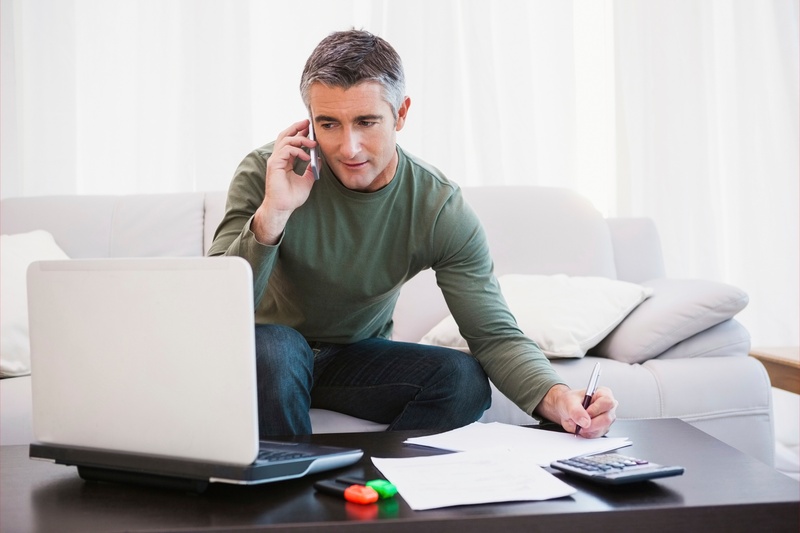 Mobile device usage is only going to increase inside commercial spaces. It’s important for builders and developers to consider cell network functionality and coverage quality before and during construction, rather than retroactively, when it could be much more expensive. Cell signal boosters offer a viable solution for improving cell coverage throughout an existing commercial space, helping promote greater workplace productivity and employee satisfaction. 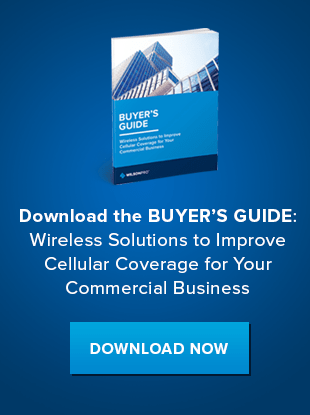 Download our free ebook and learn more about Commercial Cell Signal Boosters.